The National Park Service maintains over 800 miles of trails (walking and equestrian) within the Great Smoky Mountains National Park. Whether your interests lie in a handful of hiking experiences or completing all the park has to offer, it goes without saying that good planning and organization is required. If you want to expand your hiking experience and tackle all of the trails, you need to understand a few tricks in efficiency and how to get to and from some of the remote park trails; and to complete all 800 miles of hiking trails, you have to hike a few of the same trails more than once. 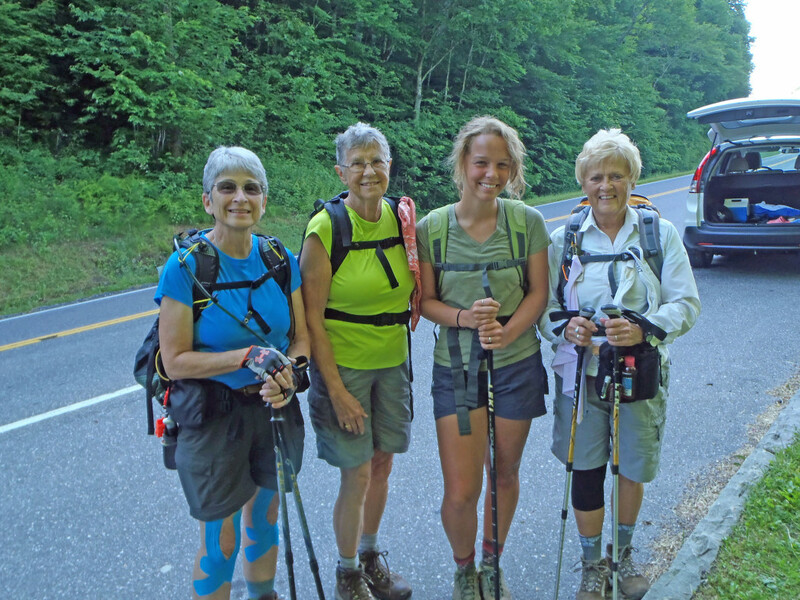 Liz Etnier is a member of the Great Smoky Mountains 900-miler Club (the club name that is bestowed upon those who have “hiked them all”) and author of Day Hiker’s Guide to All The Trails in the Smoky Mountains. She has made Knoxville her home for the past 50 years, with the exception of summers, where she lives with her husband David at their remote island on the Minnesota-Ontario border. We sat down with Liz to talk about how she completed all the trails, the amount of hard work it took to then write a book about it, how you can get started with a few selected short hikes, and some additional research she has completed to enhance even more of a day hiker’s knowledge. Below, some of her some of her fascinating answers. Traditionally, to be eligible to be a member of the 900-miler club you must mark off, and date, each completed trail on the official Great Smoky Mountains Trail Map (called the $1 map by most). 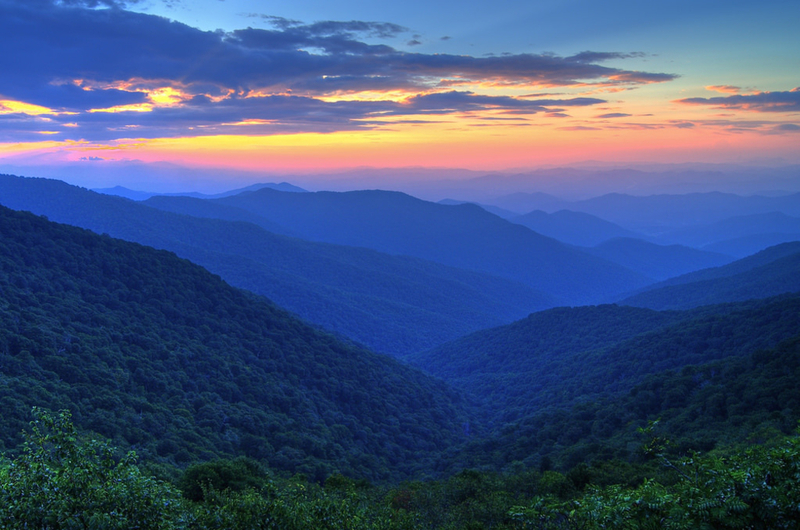 Describe your early experiences of hiking in the Smokies and when you decided to commit to hiking them all. My second time hiking with a large group in the Smokies, I overheard the woman in front of me comment that she had hiked to LeConte three times that week. I stopped her and said that I would love to hike to LeConte. She took me the next day, and that began a 20-year friendship. She had hiked almost everywhere on the Tennessee side of the park, and we started hiking two-to-three times a week for the next two years, during the spring and the fall. She drove, and most of the time that first year, I didn’t really know where we were going. 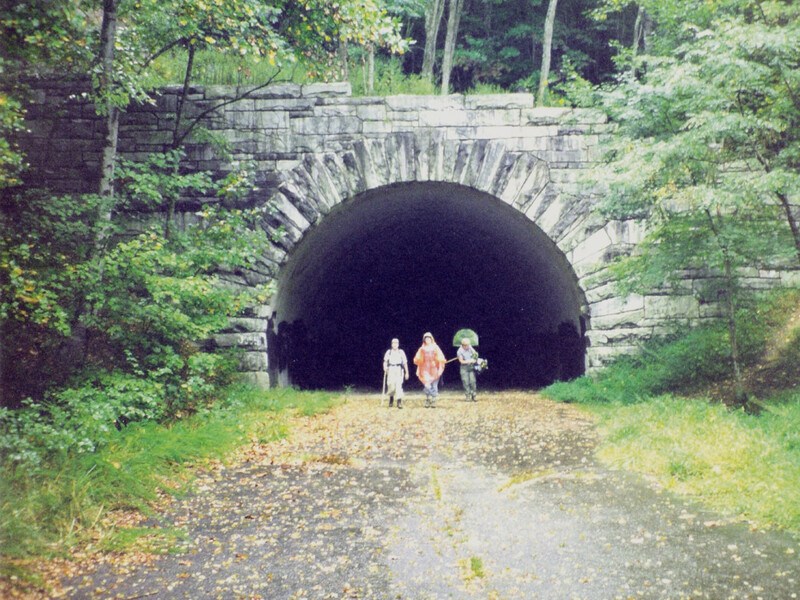 In 1998, we got started hiking with a group of hikers that were heavily involved in hiking all the trails, and our first hike with them was Hannah Mountain. At this point we realized we had hiked all the trails on the Tennessee side, and decided we could maybe hike all of them. We hadn’t really committed to it yet, but I decided I’d take charge of all of our hikes to be sure we were efficient in our hiking, and didn’t miss any of the little spurs on any trail. When someone sets out to reach 900 miles, do you think they do it for the conquest or exploration? 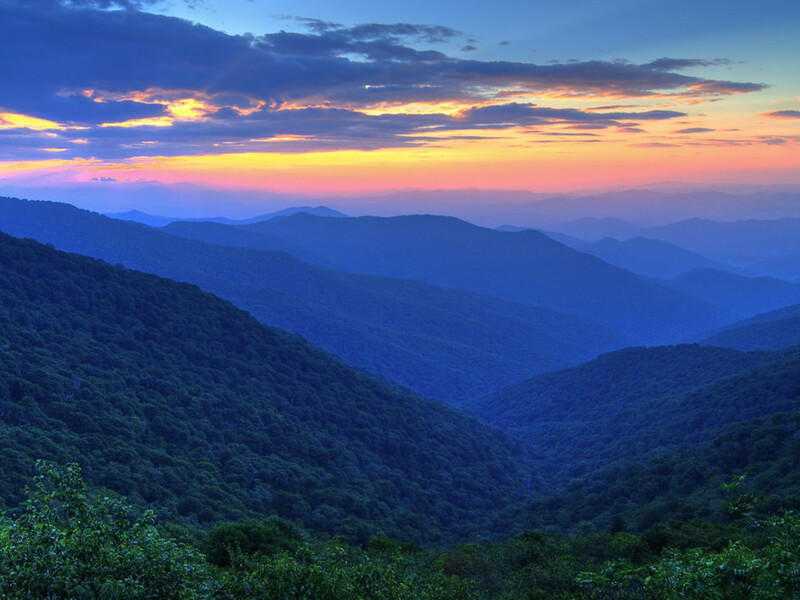 How would you describe your desire to complete the Smokies? Are you satisfied with that or do you want to do more? I think that everyone should have goals in their lives, and, of course, many have personal “Bucket Lists.” I rather imagine that for most that set this goal it is not so much about conquest as about fulfilling that goal. Every day that I hiked a new trail I woke up with excitement, and had such a feeling of accomplishment when the day ended, and I marked another trail(s) on my map. There wasn’t one hike that any of us did together that we didn’t remark “great day, great hike,” no matter if we got rained on and drenched, stung by yellowjackets, had blisters, whatever. I do think that’s a mental and emotional satisfaction rather than a feeling of conquest. Once you begin marking your trails and as you start hiking the longer hikes, there is an indescribable feeling of accomplishment and excitement each time you complete one of the 15, 18, 20, or 25 mile hikes. After finishing all the trails, I actually felt somewhat depressed that I didn’t have that goal ahead of me anymore, and I caution new hikers not to try to finish up too fast, but to take time to enjoy the journey they are taking. How do you figure out car shuttling and what kind of assistance did you get during your longer hikes and on the trails that lead to remote sections of the park? There are so many instances when hiking all the trails that you need assistance with transportation, and our husbands and other hikers helped multiple times, often driving for hours to pick us up, and waiting patiently until we arrived. Another friend met us at 4 am and drove us up to Newfound Gap to start the 25-mile hike to Cosby at 5:30 am. The family and friends who helped us so much were truly exceptional. We were also fortunate to befriend a hiker-friendly couple who ran a B&B near Deep Creek in North Carolina. They went out of their way to help by shuttling us to hikes, giving us a free room at one time, fixing early breakfast for us, and even one time lending us their car. They were a special pair that I’ll never forget. Although I made every effort to design hikes to avoid car shuttles, of the 75 day hikes I describe in my book, 45 require a car shuttle, and 6 of those also include a boat pickup. Since the Smokies are surrounded by several gateway communities, there are quite a few available shuttle services to assist hikers. Out of the trails, do you have a favorite? If so, why? I tend to prefer the more remote sections of the park, and particularly like all the long hikes down into North Carolina, as you see very few people other than your fellow hikers. It’s really fun to take the boat shuttle after a long hike. What's the toughest trail and why? What was your most fulfilling trail? I think Cold Spring Gap was possibly my hardest trail. To get it, you have to hike about 22 miles, and Cold Spring Gap itself is an old stream bed, so it's very rocky in sections, and when we hiked it, there was water running down most of the trail, making the footing precipitous. At the end of Cold Spring Gap Trail, you have to wade Hazel Creek, which feels very refreshing, but when I hiked it, it was about thigh deep, and it can be challenging to get across keeping your boots and backpack out of the water. Also, you have time constraints as you have to meet the boat shuttle at a specified time, and so you have to keep track of your pace and time. I usually set goals of reaching successive trail intersections at specified times to keep on pace. Probably the most fulfilling was hiking the 24.8 miles from Newfound Gap to Cosby. Most hikers do this toward the end of their quest, and once you’ve built up your stamina, it’s actually not that hard. But, it’s so rewarding to know that one’s body can hike that far in one day, and there were lots of “high fives” when the eight of us finished. Have you completed a similar goal elsewhere? As I finished all the trails, I had hoped to hike all the “South Beyond 6000” peaks in TN and NC, but found that none of my hiking friends were interested in that challenge, so I aborted that effort after climbing five peaks (along the 25-mile hike—I think that might be why my friends who were on that hike with me became disenchanted). I have hiked in England four times, and am thinking of trying to section hike the South West Coast Trail in England (a 630 mile trail). What inspired you to write a book about this and what makes your approach stand out? 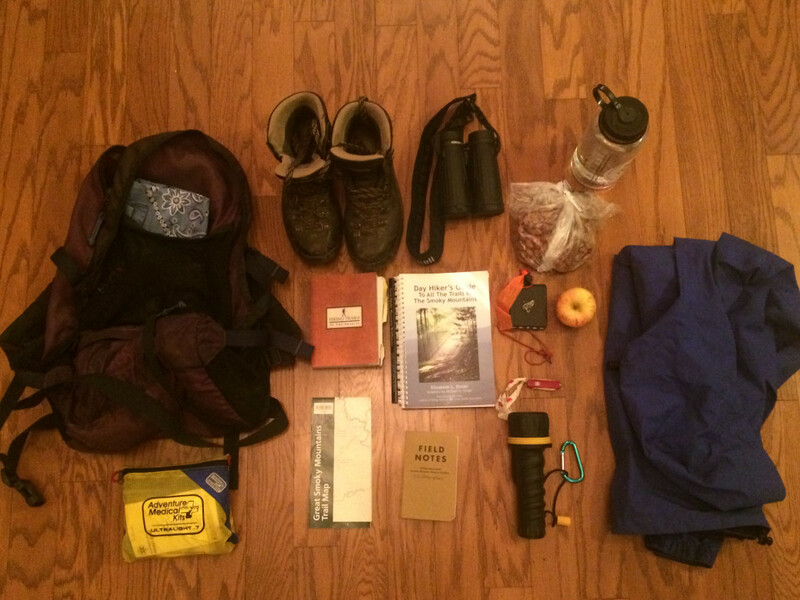 I wrote the book because I realized there was no hiking guide available that told one how to hike all the trails. There are books that discuss all the trails, one-by-one, but they don't tell you how to string together several trails for a hike with the info in the books. Also, my friends kept urging me to write it all down, as they appreciated the effort I spent planning each hike, and the efficiency with which we hiked them. What are some of the major revisions and additions we can expect in the fourth edition of your book? The next edition will include a chapter entitled Selected Short Hikes in the Smokies with the emphasis on the casual hiker and/or families with small children in mind. For the most part, these hikes are easily accessible, less than 10 miles in length, and have a maximum elevation gain of 200 feet per mile. I have also added a ranking of trail difficulty based on the estimated amount of energy (as caloric output) required to hike a particular trail or NRG (energy miles). I have been fortunate to meet a gentleman named Bob Lochbaum who, as a volunteer with the National Park Service for over 24 years, has measured each trail segment on the Great Smoky Mountains Trail Map twice with a calibrated wheel and altimeter. More recently, the National Park Service provided Bob with a GPS unit which he used to map every trail, road, horse trail, cemetery path, nature trail, quiet walkway, boat access road, and most manways in the Great Smoky Mountains National Park. Bob generously has used the data he has recorded to accurately calculate total mileage and total elevation gain for each hike. I have used this data and what is called “Petzoldt’s Energy Theory” to rank all the hikes in the fourth edition.